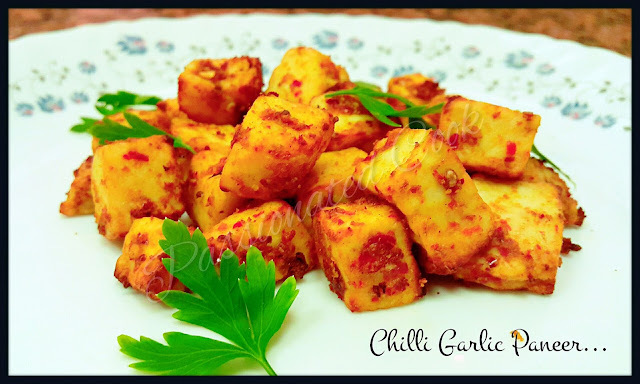 If your a garlic and spicy lover then this is so so so perfect to you. Soak the chillies in warm water for 30 mins. Blend together garlic, chilies (seeds removed), sugar, salt and vinegar with 2 to 3 tbsp water. 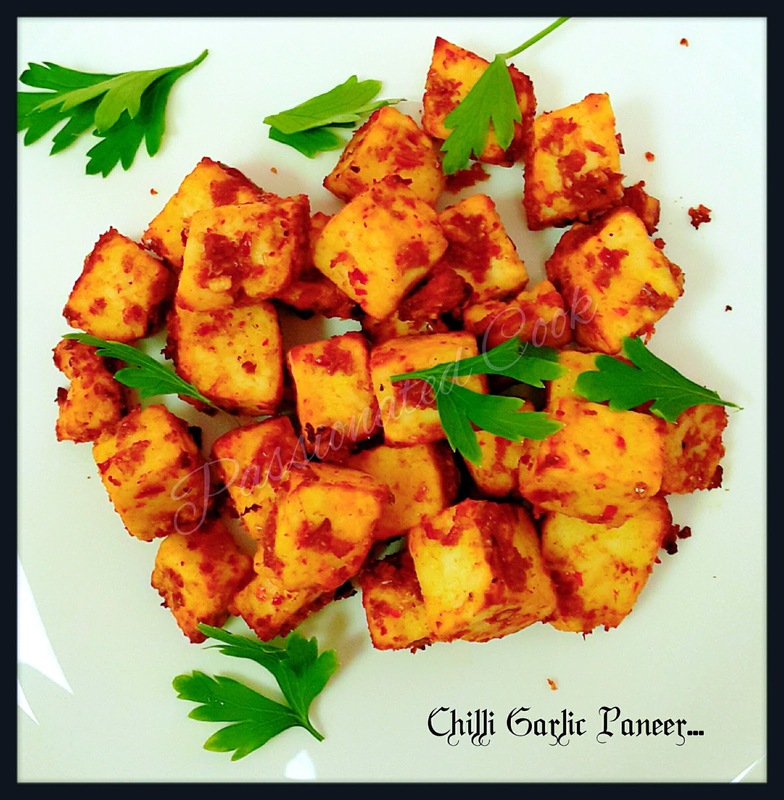 Add the ground masala to the paneer and let it marinate for 1 hour or overnight. 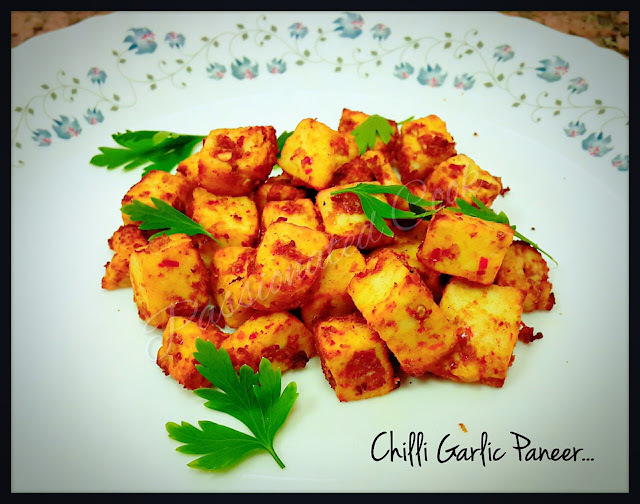 Add a tsp of oil to a pan and add the marinated Paneer to it and saute till the edges of Paneer is slightly browned and the raw smell of the masala is gone. I used my airfryer for making this, added the Paneer to the airfryer basket without preheating and cooked for 12 - 15 mins at 180. *Can use normal red chillies too, but the kashmiri chillies give nice color to the dish. *If you want a spicy version of this dish, don't remove the seeds from the chilli.